Very Very Vicky: Time For The Good Stuff! It's time for the good stuff...at last I can show you all the fun things I found for the bunk room during my shopping adventures online. I was scheming about how I could get the duvets and was just about to pick up the phone to dial up my sister Crystal who lives in the L.A. area to beg her help...then I thought I'd check eBay first. And yaaaay--there was a seller who had four sets for sale still in the packages! Does anyone else love to score a bargain? I get a little thrill each time I find just the right thing for an amazing price and that is just what happened with these euro pillow shams. I can't keep it to myself--normally $40 each, they were on clearance at C. Wonder for $4.99! 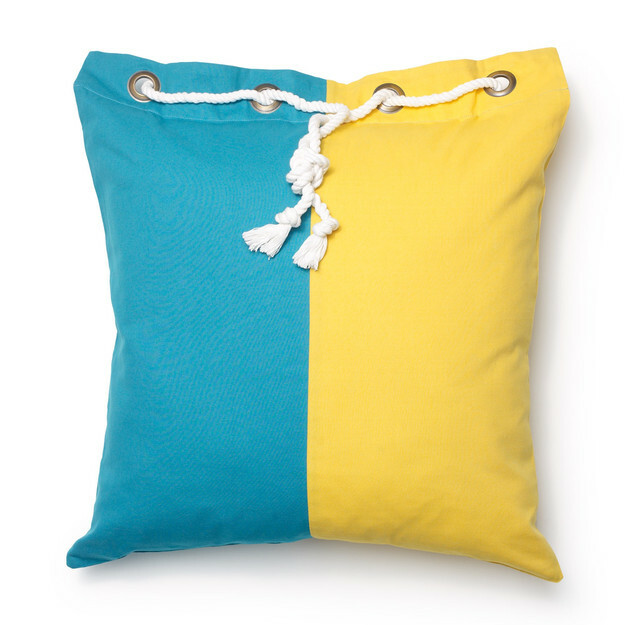 I love the rope and grommet detail on each pillow! There is one more item to share--I was walking through Home Goods one afternoon and this little wicker monkey "spoke" to me--he really did. I had to take him home! I'm not sure yet the best way to display him but I think the kids will like this little friend! Here's the room...the room is small and it was hard to stand far enough back to get a good picture with my little point and shoot but I did my best. As you can see, we managed to get four bunk beds into the room and still have a little floor space! The kids seemed to like the room a lot when they stayed here a few weeks ago. They chose to hang out in there reading or playing games--I guess it is fun to have your own space but to have company nearby! We've got tweaking to do but I'm already loving the way this room is shaping up!